Can we get a headline? The people of Tippecanoe County, Indiana, have long been captivated by the uniqueness of the region’s history. The first generation of American settlers, coming in the early 1820s, knew that they followed the French outpost and community of Fort Ouiatenon and the Native American settlements of Kethtippecannuck and Prophetstown. This last site had been founded by the Shawnee leader Tecumseh as a base for a pan-Indian confederacy. His followers’ defeat by William Henry Harrison’s forces at the Battle of Tippecanoe in 1811 “sanctified” the battlefield in the minds of Hoosier pioneers. The State of Indiana acquired the site for a historic park in the 1830s, and Tippecanoe County residents have held political rallies and historical reenactments there ever since. These important associations, combined with the steady disappearance of all vestiges of the county’s pioneer era, spurred local citizens to found short-lived historical societies in 1888 and 1923. In 1925 Tippecanoe County and the City of Lafayette held a joint centennial pageant, the public being invited to lend family relics and documents for display. The enthusiasm for this exhibit and the celebration’s programs was overwhelming, inspiring community leaders to author a constitution and by-laws for a county historical society. The Tippecanoe County Historical Association (TCHA) was subsequently chartered under Indiana statutes as a private non-profit corporation. In December of 1928, a 36-member governing board was established and nearly 300 persons purchased memberships. 1930s lecture given by Ross Lockridge at the Fort Ouiatenon Blockhouse. Photograph by Herbert H. Heimlich. At its inception, the TCHA recognized a mission to collect, preserve, and exhibit artifacts and documents; preserve historic sites and erect historic markers; locate cemeteries; and promote knowledge of local history through research, programs, and publications. 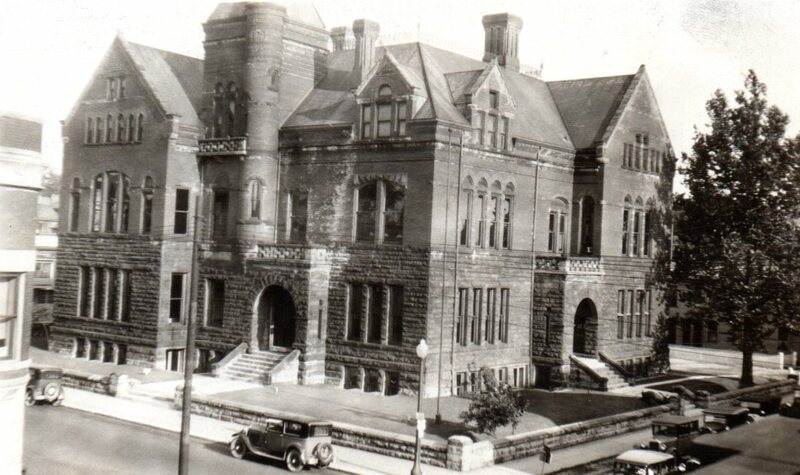 By 1928, the TCHA had outgrown its first museum location. A local businessman responded with a loan of five rooms in a downtown building to display its ever-enlarging collection. Fund drives, newspaper columns, and membership drives were undertaken. Special exhibits of private collections were a popular fixture at the museum; over 800 persons attended a display of hooked rugs in 1929. Public programs were well received, and annual Lincoln Day and Tippecanoe Day dinner-lectures were established. During the Depression, memberships and income declined somewhat, but aggressive publicity kept the public interested in the museum’s activities. In 1935, to increase support from residents of the rural townships, several outreach strategies were devised. By this time the TCHA had earned a state-wide reputation. 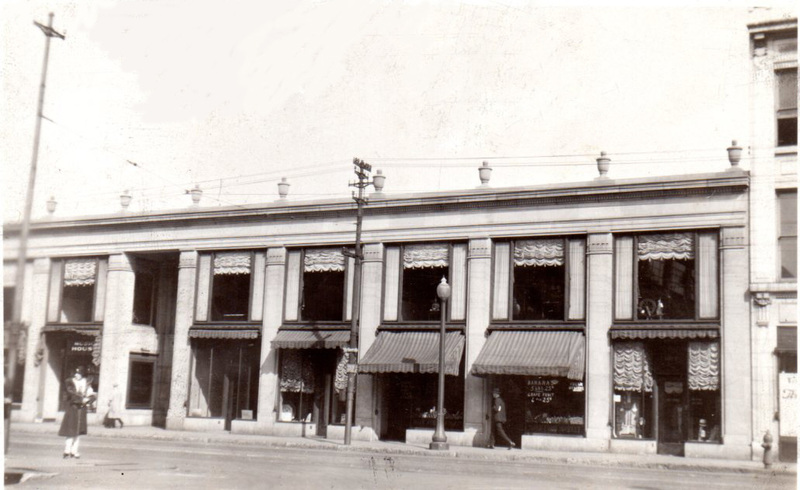 1929, First home of the Tippecanoe County Historical Association; the Lafayette Vocational Building. Photograph by William Reser. Second home of the Tippecanoe County Historical Association (1930s), the Ross building at 659 Main Street. The 1930s marked the TCHA’s acquisition of the Fort Ouiatenon Blockhouse Museum. Dr. Wetherill undertook research to determine the exact location and appearance of Fort Ouiatenon. Research findings and a concentration of surface artifacts on a knoll along the Wabash River moved Wetherill to purchase this tract and, in 1930, erect upon it a log blockhouse. The property was then given to the TCHA, which in turn ceded the land (retaining programming rights) to the County Commissioners for a county park. This park, now comprising nearly 30 acres, remains an important outdoor programming facility. The Feast of the Hunters’ Moon, the Association’s annual two-day rendezvous reenactment and fund raiser, is held there. 1952 traveling archaeology education kit at Washington School. Photograph by Photo Art Commercial Studio. The TCHA library and artifact collections grew steadily in the 1930s, creating a shortage of space. This problem required action when, upon Dr. Wetherill’s death in 1940, his antiques and artworks were willed to “any county museum” that had a permanent facility. This motivated the TCHA to purchase for its museum building an 1850s 30-room Gothic Revival residence, the Moses Fowler House, long considered a county landmark. The 1940s and 1950s saw a steady, progression of programs and changing exhibits. Alameda McCollough, the TCHA curator from 1939 to 1972, developed a series of luncheons at the museum, in which local clubs and business organizations heard a special program about the collections. She also delivered talks to school and university classes and youth groups. The Association published several books and a quarterly bulletin was begun. County government officials began to turn over historic records to the TCHA, and this further reinforced the library as a center for local historic and genealogical research. Golden Gala event held at the Tippecanoe County Museum in the Moses Fowler House on November 15, 1975. Performance by the Purduettes directed by Bruce McGuire. The latter 1960s brought a period of transition to the TCHA. The Association’s public was increasingly interested in local history, continued giving of artifacts had again created a space problem, and a shortage of paid staff began to be felt. A 1968 study recommended the hiring of professional staff, increased funding, and the erection of a museum wing. Accordingly, a director was hired and income was generated by the just-established Feast of the Hunters’ Moon. This event allowed the funding of numerous professional staff positions in the 1970s and 1980s, creating departments for administration, education, curation, exhibition, library, archives, public relations, and development. In 1968 the true location of Fort Ouiatenon was discovered, and the TCHA raised funds to purchase the site. Professional archaeological excavations in 1968-69 and 1974-79 unearthed a wealth of artifacts. The settlement itself has since been prominent in long-range p1anning. At the museum, space needs were greatly relieved by the purchase in 1977 of an office complex next to the Fowler House. Named the Wetherill Historical Resource Center (renamed in 2007 to the Frank C. Arganbright Genealogy Center) this building contains the library, archives, artifact storage, and administrative offices. 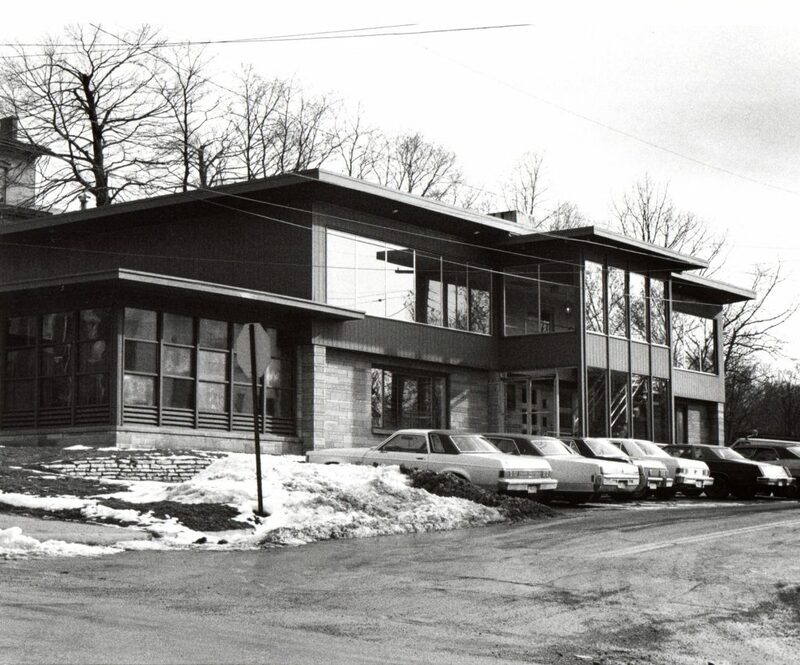 The Wetherill Historic Resource Center, now called the Frank C. Arganbright Genealogy Center, 1977. 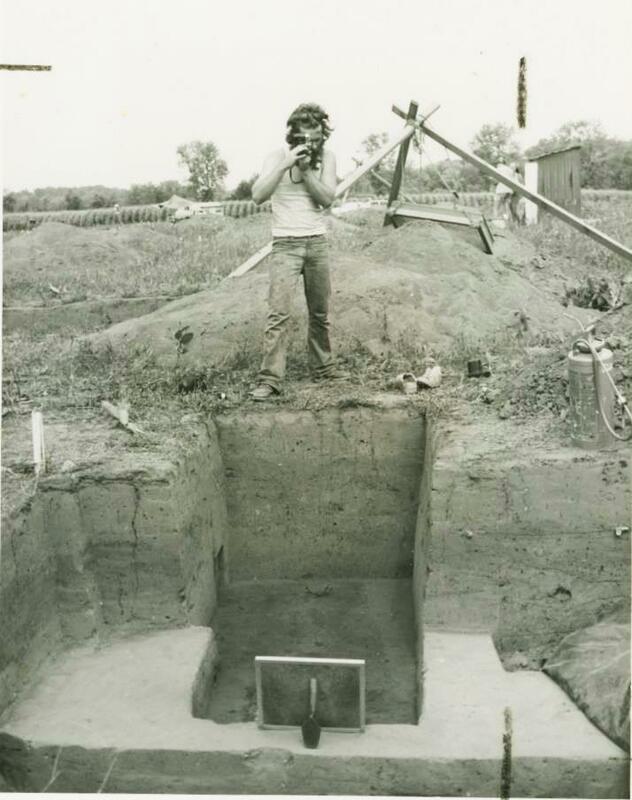 1970s archaeological dig at the site of Fort Ouiatenon. 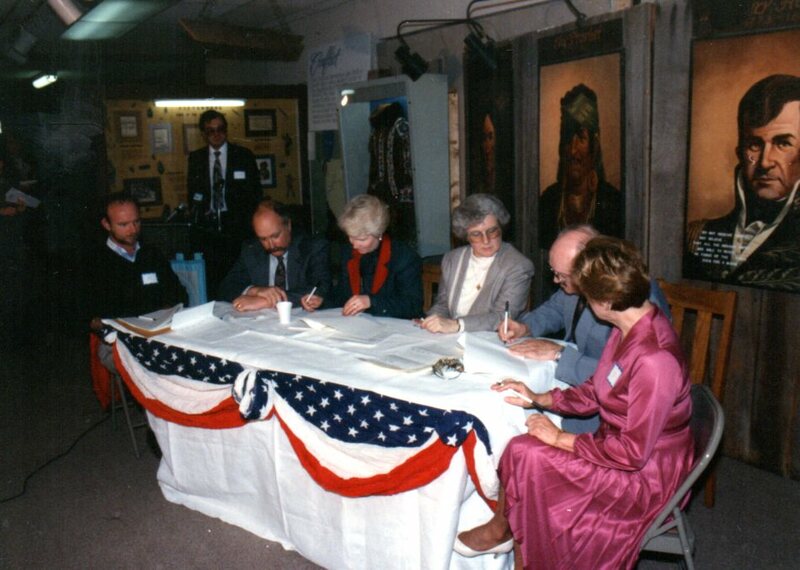 In 1990 the TCHA merged with another non-profit group that was established in 1972 to operate a museum and history store at the Tippecanoe Battlefield. The TCHA now manages the Tippecanoe Battlefield Museum and does all historic programming in the Tippecanoe Battlefield Memorial Park in cooperation with the Tippecanoe County Parks and Recreation Department. 2000s ‘Century on the Wabash’ exhibit at the Tippecanoe County History Museum located at the Moses Fowler House. In 2002 the decision was made to remove the traditional exhibits in the County Museum housed in the Moses Fowler house. Prior to this year, most of the second floor exhibit galleries had been dismantled and offices put in their place. A grant was received to assist in the installation of an exhibit called the “Century on the Wabash”. This exhibit encompassed the whole first floor. It chronicled the history of the county starting at the foyer and moving the visitors through the first floor with interpretative exhibits on the history of the area. A small museum store was in the front parlor. The goal of this exhibit was to bring people and school groups back to the County Historical Museum. However this project did not generate the audiences hoped for and after several poor Feasts’ revenues the decision was made in the fall of 2005 to close the Tippecanoe County Historical Museum. Several staff members were also released at that time and all the offices were moved to 1001 South Street. The house ceased to be open to the public. In 2007 TCHA started renovating the inside and outside of the Moses Fowler House so that we could generate income through rentals. By 2014 it became evident that renting the Fowler House was not a viable option for funding the maintenance of this facility. The decision to sell the house and property was not made without much consideration of the impact on the Association since this was such an icon of the organization. In the summer of 2015 the Moses Fowler house was sold to the newly formed 1852 Foundation, Inc.
TCHA continues to operate the Alameda McCollough Research Library and Richard Wetherill Archives located in the Frank C. Arganbright Genealogy Center at 1001 South Street. The Center is the destination for all researchers tracing their family heritage or exploring other areas of local history. It also programs and operates the Tippecanoe Battlefield Interpretative Center and History Store. In the summer volunteers open and talk with visitors at the Fort Ouiatenon Blockhouse Museum. 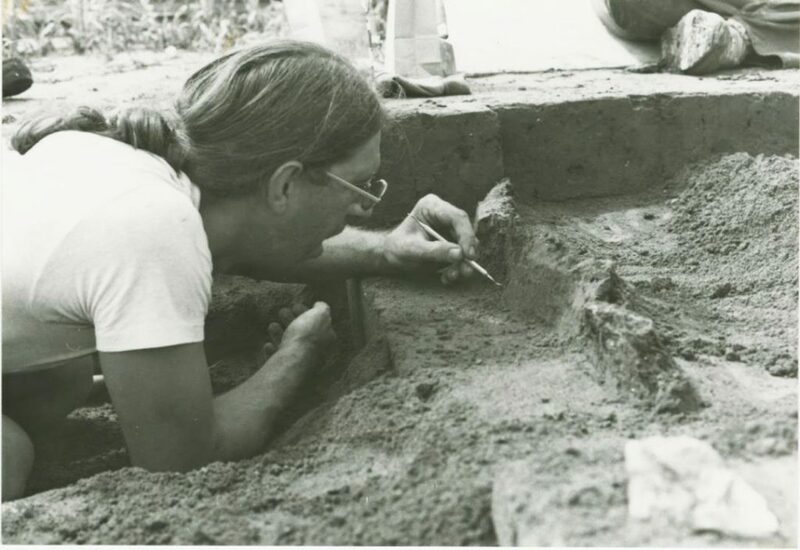 The archaeological site of Fort Ouiatenon is protected by the TCHA and other organizations at The Ouiatenon Preserve, a Roy Whistler Foundation Project.